(Bangkok, Geneva, 25 March 2016) – The Asian Forum for Human Rights and Development (FORUM-ASIA) welcomes the adoption of a resolution on Burma/Myanmar at the 31st session of the United Nations Human rights Council yesterday. 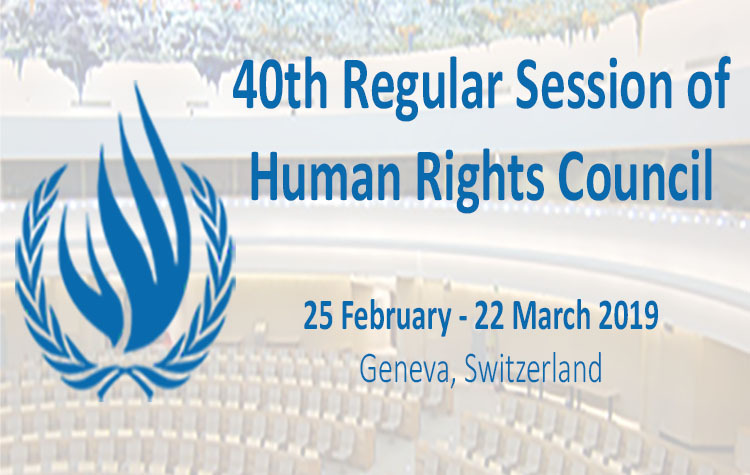 The human rights organisation is highly encouraged by the fact that the resolution extended for one year the mandate of the UN Special Rapporteur on the human rights situation in Myanmar. The resolution tasked the Special Rapporteur to measure progress in the implementation of recommendations and work with the Government to identify benchmarks for progress and priorities for assistance. It further called on all actors to consolidate democratic transition by bringing all national institutions, including the military, under a civilian government. Despite negative moves by some countries to downgrade the mandate of the Special Rapporteur to one of technical assistance under agenda item 10, the resolution managed to maintain the mandate under item 4 which deals with situations of concern. The resolution also welcomes the 8 November elections while expressing concerns over a number of shortcomings, calling for continued reforms to ensure that all religious and ethnic minorities including the Rohingya are able to fully participate in electoral processes and be able to reflect their votes in the composition of the Parliament. “It is disappointing that the resolution, which is shorter this year, leaves out specific mentions of key human rights violations in the country,” said Aung Myo Min, Executive Director of Equality Myanmar. He went on to say that “however, it is noteworthy that it calls for the unconditional release of all political prisoners and for an end to all remaining human rights violations and concerns, including those related to women, children, minorities and the freedoms of religion or belief, expression, association and assembly”. She further added however that “we are glad that the resolution has maintained the call for all actors to ensure the effective participation of women from conflict affected communities in all decision making and other activities. This language is consistent with the Security Council resolution 1325 on women, peace and security and we hope that the new Government and all other actors will consider this seriously”. Commenting on the resolution’s text on business and human rights Aung Myo Min said that “the resolution’s move to call on both home states of businesses operating in the country as well as the Government to protect human rights is a welcome step”. FORUM-ASIA welcomes the resolution’s call for the Special rapporteur to work with the Government in identifying benchmarks for progress. “This will be a valuable leverage point that could allow the new Government to include strong benchmarks on human rights in its negotiations with the military,” said Khin Ohmar. “The benchmarking exercise will provide an important opportunity for the new Government to take stock of the enormous human rights challenges that the country faces and assist in producing a clear roadmap based on international human rights norms and standards,” said Aung Myo Min. Evelyn Balais-Serrano, Executive Director of FORUM-ASIA, said “by explicitly requiring benchmarks for progress, the UN Human Rights Council has taken a progressive and innovative approach to Burma/Myanmar which is in the middle of a delicate transition.” She finally noted that “future actions of the Council on Burma/Myanmar should be guided by progress against the benchmarks that come out of this process”.